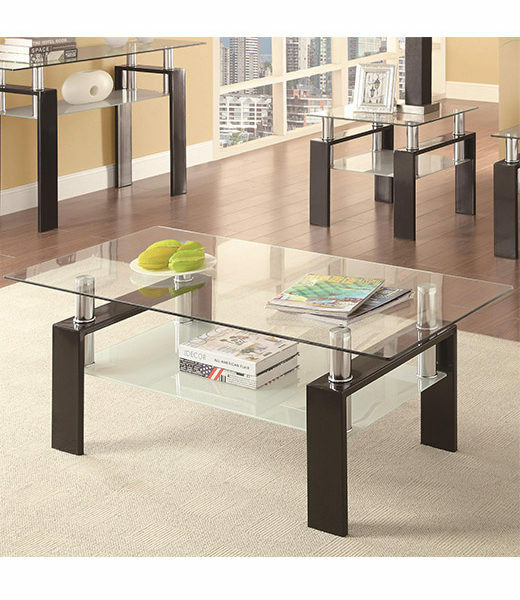 Give your room a contemporary feel with this coffee table. A tempered glass surface has extra strengt. 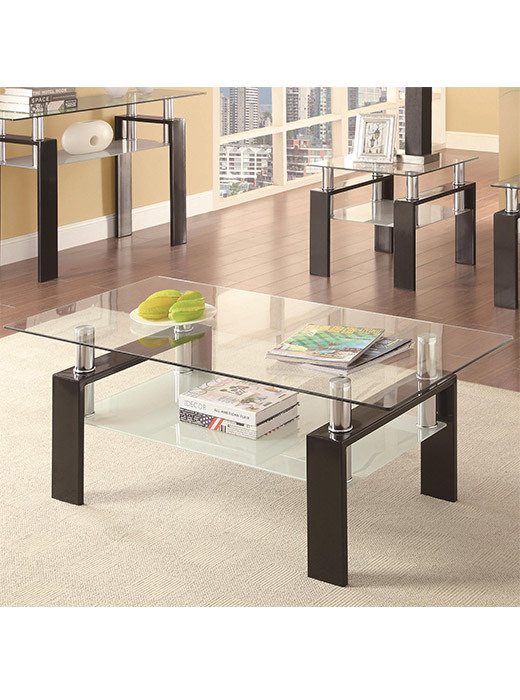 A floating table top look and metal legs give a stylish look. Also features a frosted glass shelf below for extra storage.